Do you have leftover bags of candy and treats after Halloween? If so, you’re probably debating whether to throw it all out or put it in the freezer and save it for later. You certainly don’t want to eat that much candy now, you know it’s not good for you (or your children), but perhaps you feel conflicted about getting rid of it. For many people, Halloween indulgences “wake up” their sugar cravings. Even if you’re fairly disciplined with your sugar intake most of the year, Halloween can be the beginning of a downward slide into holiday sweet-treat overeating. If you’re like the average American who consumes 22 teaspoons of sugar daily, you very well may suffer from sugar addiction. Sugar is hidden in places you wouldn’t expect–it’s added to sauces, ketchup, soups, pickles, processed foods, drinks, health bars and more. And even if you don’t have a big sweet tooth, the consumption of wheat flour raises your blood sugar more than table sugar, so if you’re foregoing the sweets for foods made of flour (think bagels, crackers or pasta), you may still be addicted to sugar and not know it. The truth is, we are hard-wired to like the taste of sugar. Sugar stimulates the release of the feel-good chemical dopamine in our brain. The problem is that some of us are genetically much more prone to sugar addiction because we have fewer dopamine receptors–proteins on the surface of brain cells that uptake chemicals. 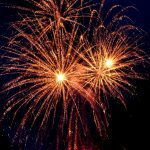 What this means is that we need more of a particular substance, like sugar or alcohol, to feel the same level of pleasure as someone with more dopamine receptors. 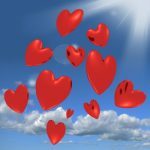 Some of us need a lot more stimulation to feel pleasure and this can lead us to engage in behaviors that stimulate the reward centers in the brain. Addictive behaviors like compulsive overeating, drug/alcohol use, gambling and promiscuity can do just that. And those of us with fewer dopamine receptors are more prone to low moods and depression. Are you consuming sweets daily? Do you add a sweetener to your daily bowl of cereal or cup of coffee or tea? Do you use artificial sweeteners? Do you hunt for sweets at particular times of the day? If so, perhaps you feel powerless over your sweet cravings. You may be wondering: if I’m craving sugar so intensely, can it really be that bad for me? The answer is a resounding yes. For many reasons. First and foremost, sugar decreases your overall health and increases the risks of all degenerative diseases such as diabetes, osteoporosis, heart disease and cancer. It lowers your immune response, increases destructive inflammation, leads to essential mineral deficiencies, feeds bad bacteria growth in your gut, and accelerates aging by reducing the quality of the collagen in your skin. If you’re trying to lose weight, a high sugar intake will act against your best intentions. Sugar increases fat storage because it encourages the release of the fat storing hormone insulin. And with continued high insulin spikes triggered by a constant sweet intake, the body becomes less sensitive to insulin, which leads to the all-too-familiar insulin resistance and the vicious cycle of more insulin production, more fat storage, and more resistance, eventually leading down the road to diabetes. Keep in mind that your attraction to sugar is not proof that you are lacking willpower or that you are morally flawed. It’s truly a matter of genetics–you’ve most likely inherited the low pleasure, sugar addiction gene that leads to fewer dopamine receptors. 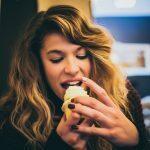 Here are a few suggestions I offer my clients to help them break the sugar addiction. 1. Establish a pattern of regular meals. While I encourage my clients to eat when they feel true physical hunger cues and stop when they feel fullness sensations, many tell me they don’t feel hungry until mid-day or later. Current research suggests that a longer fasting period (the eight hours you’re sleeping plus an additional 4-8 hours) is beneficial on many fronts, so it’s perfectly okay to “break your fast” late morning or even early afternoon. But if waiting too long to eat leads to grabbing processed snacks the minute hunger hits, this may not be the best option for you. Try eating within a few hours after awakening and then every three to five hours thereafter. When your blood sugar drops, you are more likely to grab a sugary treat. 2. Try a 3-7 day sugar detox. Many of my clients don’t think they’re addicted to sugar until I ask them to abstain from it for a period of time. They are often very surprised to find that they are consuming a large quantity of sugar daily and that they find it difficult to go without. If you decide to try a detox, you’ll have to read labels–sugar is added to everything. And beware: you may feel worse the first few days. But you’ll soon notice an improved sense of well being. If you find it impossible to cut out sugar entirely, try making small changes. Cut back on the amount you consume. Over time, your taste buds will adapt. 3. Increase your intake of fruits and green vegetables. Nutrient dense foods will help balance your body chemistry and reduce cravings. Alkaline foods, like fruits and veggies, will help reduce the body acidity–less acidity means less attraction to acid foods like sugar. Try veggies for breakfast–they’re great by themselves, or try green smoothies or tofu scrambles. Sweet potatoes and yams will satisfy your sweet tooth in a natural way. Also, try adding spices–cinnamon, nutmeg, cloves, coriander and cardamom naturally sweeten food and reduce cravings. 4.Keep sugary treats out of the home and office, if possible. If not possible, make sure you have healthy alternatives available. And yes, it’s best to throw out all the Halloween leftovers! 5. 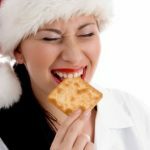 Explore whether hidden food allergies are triggering your cravings. We often crave foods we are allergic to. 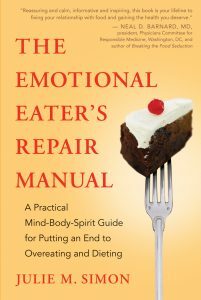 I discuss food allergies and elimination/rotation plans in my book, The Emotional Eater’s Repair Manual. 6. Make sure you’re getting your Omega 3’s daily, as nutrient deficiencies can lead to cravings. Two tablespoons of Chia seeds or ground flax seeds daily will meet your essential fatty acid requirements. While you’re at it, optimize your Vitamin D levels by getting 15 minutes daily of sunshine. When Vitamin D levels are low, the hormone that helps turn off your appetite doesn’t work and you may feel hungry all the time, no matter how much you eat. 7. Move your body daily. Exercise will provide the lift you’re looking for without the blood sugar imbalance. 8. Sleep to satiation every night, if possible. Research shows that we need 7-9 hours of restorative sleep every night. Plan for proper rest by turning off bright lights and stimulating computer and television screens and heading to bed earlier. 9. 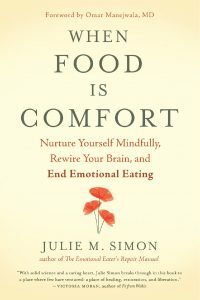 If you’re eating for emotional reasons, learn to check in with yourself and practice self-soothing and comforting skills where needed. I cover these skills in depth in part 1 of my book, The Emotional Eater’s Repair Manual. 10. Consider trying natural supplements for controlling cravings. Glutamine, tyrosine and 5htp are amino acids that help balance the brain chemistry and reduce cravings. Chromium balances blood sugar and can help take the edge off cravings. Rhodiola, a stress reducing herb, can also help. Life is meant to be sweet; too much of the wrong kind of sweet and we’re headed down the slippery slope of addiction. The good news is that at any point in time, we can clean up our eating, rebalance and get back to mind, body and spirit balance.